Gardening in Africa: What is a garden without Vygies? 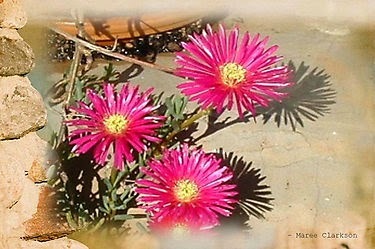 Mesembryanthemum (meaning “midday flowering”) is a genus of flowering plants native to Southern Africa. This easy-to-grow and hardy evergreen succulent is very easy to maintain and thrives under conditions few other will tolerate. On its thin branches it carries succulent leaves, and during spring masses of daisy-like, rich pink flowers. It requires full sun and is suitable for all regions without severe frost or hot, humid conditions with lots of rainfall. This is a newby to my garden, planted in a basket, so I will have to bring it inside in winter to protect against frost. I was given a few cuttings by a friend and it started flowering within days of me planting it. This is a frequently cultivated and a rewarding floriferous plant. It is easily propagated from seed or cuttings and needs a sunny position. Seed can be sown at any time of the year in shallow trays in a sandy mixture and germination is within 3 weeks. Cuttings are best planted during the summer months. The plants are short-lived and are best replaced every 3 years. Lampranthus roseus prefers a sunny, well-drained slope. The plants thrive in rockeries or containers in a sunny position. Plants are subject to downy mildew and should be sprayed with Ridomil from midwinter to just before flowering. The species is particularly impressive when massively planted on large areas to cover the soil. 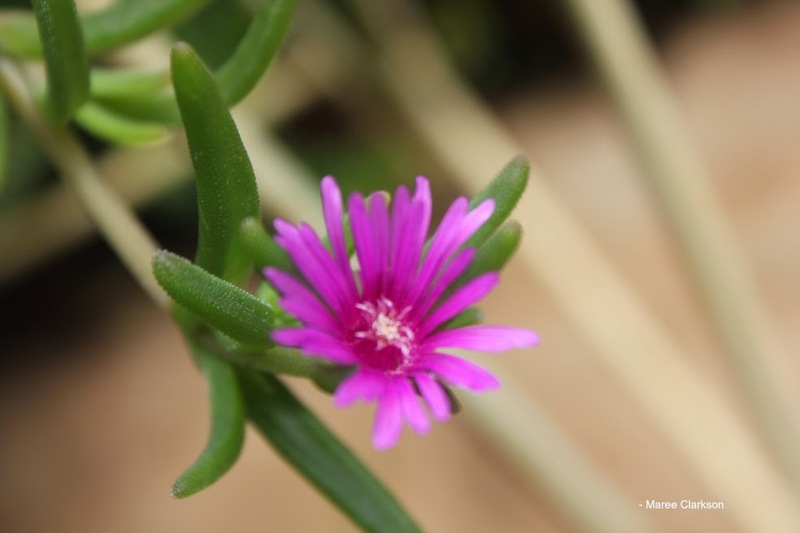 There are over a hundred varieties of Lampranthus and many of them are valued as garden plants. Usually relegated to the rockery or succulent garden, these plants are far more versatile and can be incorporated in most areas of the garden, where their lustrous blossoms will enhance their surroundings. Lampranthus species have smooth, three-angled leaves, and the group varies from an upright, bushy growth habit to lax, cascading or creeping ground covers. Some bushes extend to a meter across. 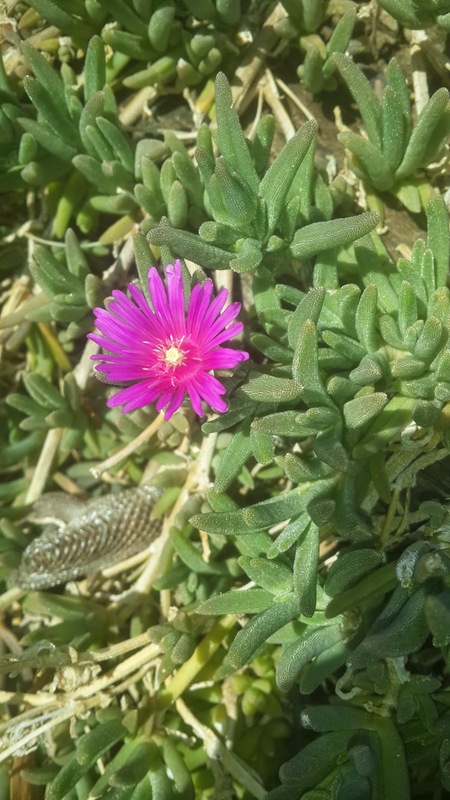 As I was reading this post and looking at your photos of Red vygie, I was very much reminded of what I used to know as "ice plant", only the Red vygie is much smaller leaved and has much smaller flowers. 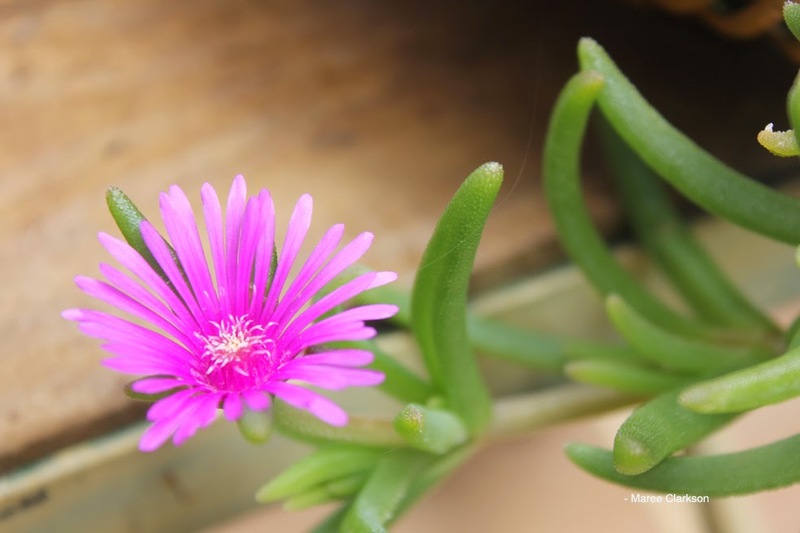 Then I when I came to the end of your post, I noticed in your list of other common names for Red vygie, "Mini Ice Plant". Hi Anonymous, I'm lad you could identify it as something you know - there are so many varieties of Vygies, I could dedicate a large part of the garden just to this species. I'd love to have a yellow one, maybe soon! Hi when should I read head vygies?